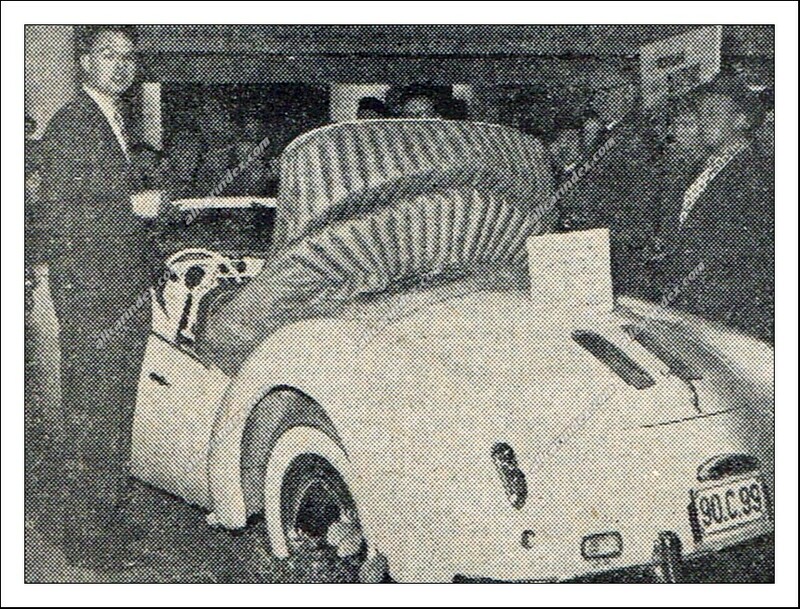 In 1955, as a result of his University studies for Civil Engineer, Jacques Ladyjensky created a unique polyester armed body upon a 1954 Beetle chassis. At that time plastic-fibreglass bodies were rather unusual. Since 1953 only the Chevrolet Corvette was the best known example of mass production. However, since 1942, tests were made using a fibreglass reinforced plastic for military purposes, like radar domes and aircraft components. Even in 1943 there were studies by the Germans. We had to wait until 1947 to see civil uses such as canoes, bathtubs, seats, helmets, suitcases, mannequins and tubs. By 1955 tests were made on several fibreglass-reinforced-plastic car bodies. At that time it proved that it lost one-third of its strength below -30 Celsius and one-half of it above 80 Celsius. Fibreglass showed its good resistance against oils, gasoline, battery - acid, salt and atmospheric pollution. Due to amateur experiments in order to make quick money, it lost a part of its interest to the public. In the mid '50's a serial-construction of fibreglass bodies needed enormous capital investment. Several car studies were made, i.e. a 1946 Chrysler from the USA ( fibre- glass body and chassis ), around 1950: - a British experiment with plastic on an Austin A 40. 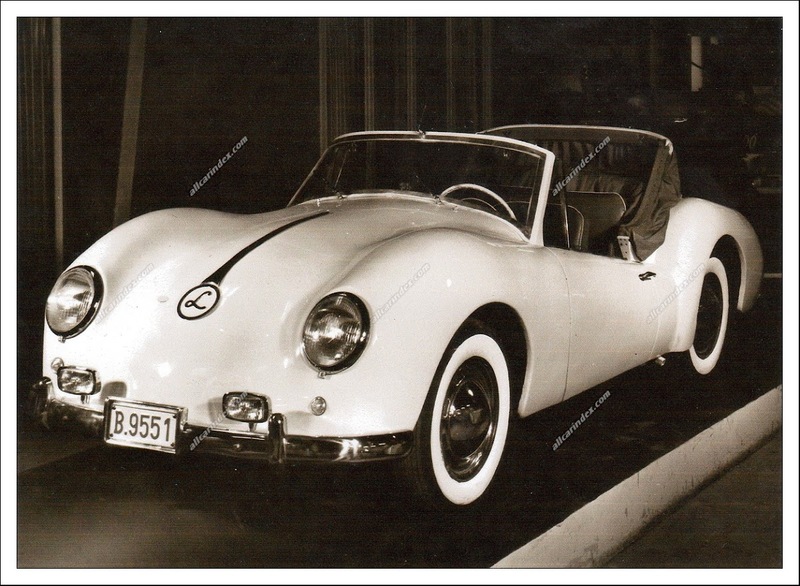 In 1954 Spohn of Ravenburg was the first German coachbuilder to create a fibreglass body upon a Beetle chassis. 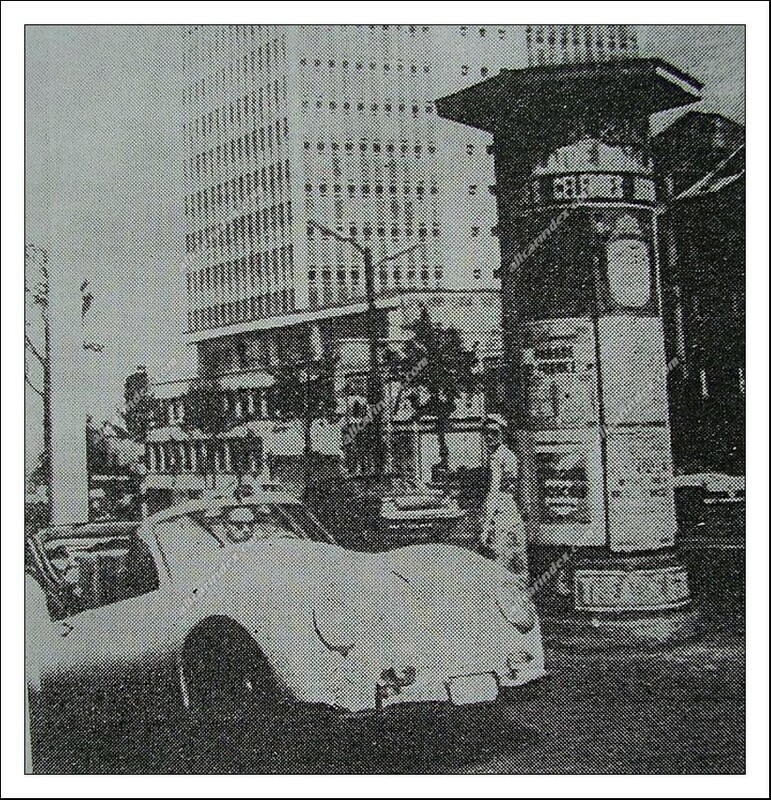 In 1955 a young man, studying civil engineer, Jacques Ladyjensky, present- -ed his prototype on a VW base. 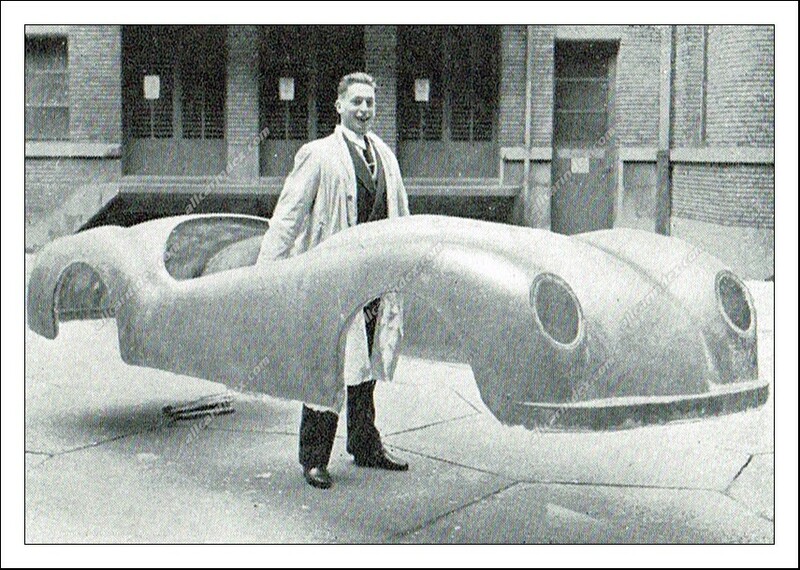 A plastic - fibreglass body of 80 kg, was put on a 1954 Beetle chassis. Several tests were made to find out the practical strength of its body. 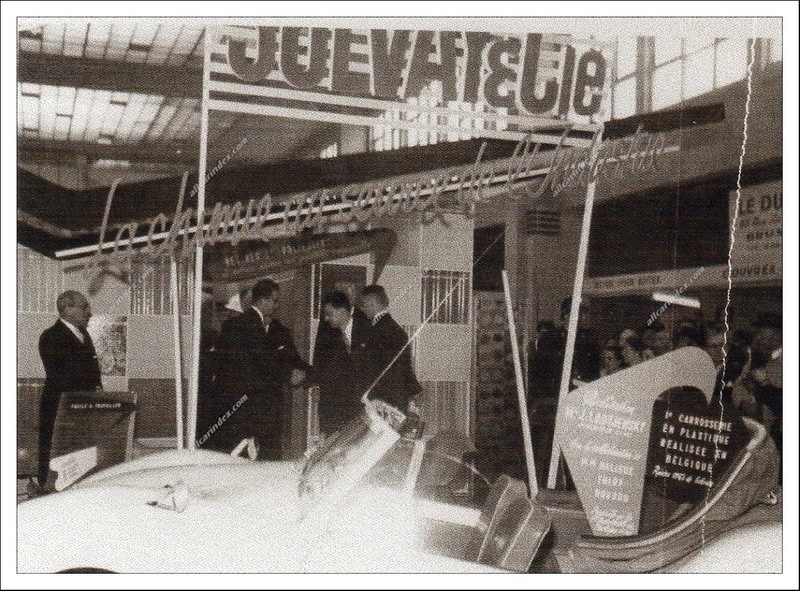 Since the body was constructed by the Belgian firm Solvay, Jacques Ladyjens- -ky was asked to exhibit his car at the Belgian 1957 International Car Fair in Brussels. It was there Jacques Ladyjensky met the Belgian King Boudewijn ( Baudouin ), along with the Brussels Town Burgomaster Cooremans. During his career, he helped in the construction of the famous "Atomium" ( a building representing the atom structure ), presented at the World Expo in Brussels 1958 and still in use as a museum. 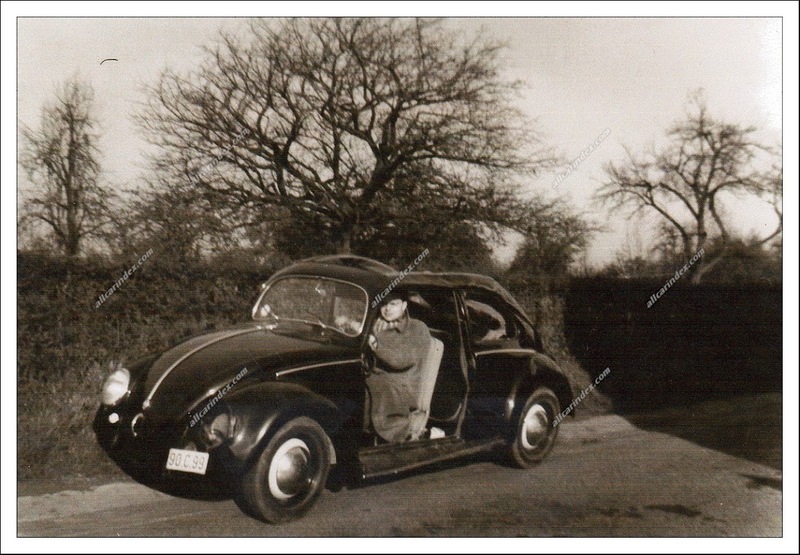 Jacques Ladyjensky was disappointed not to obtain help from VW Wolfsburg, since VW tried, at the particular time, to convince its public that the shape of the Beetle was the only, and eternal (!) 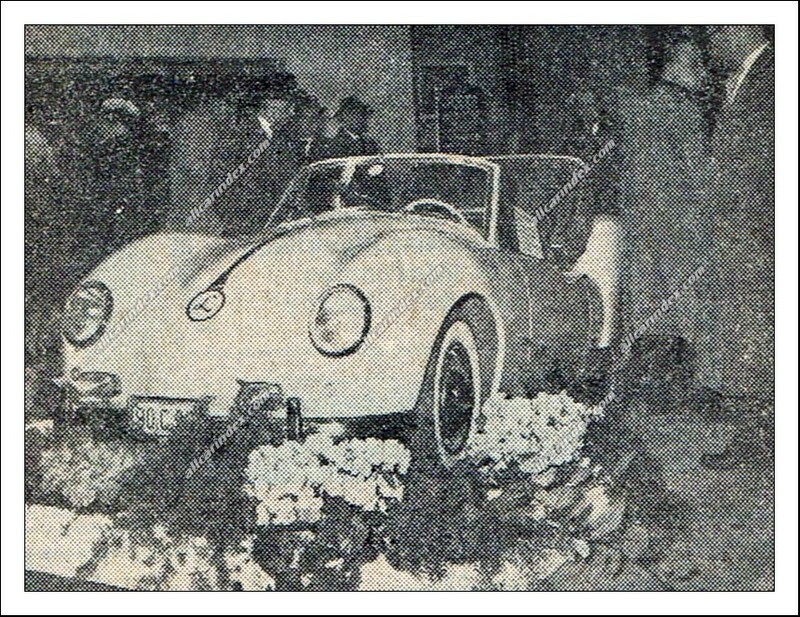 presentation form of the Volkswagen cars, next to the new model: the Karmann-Ghia. 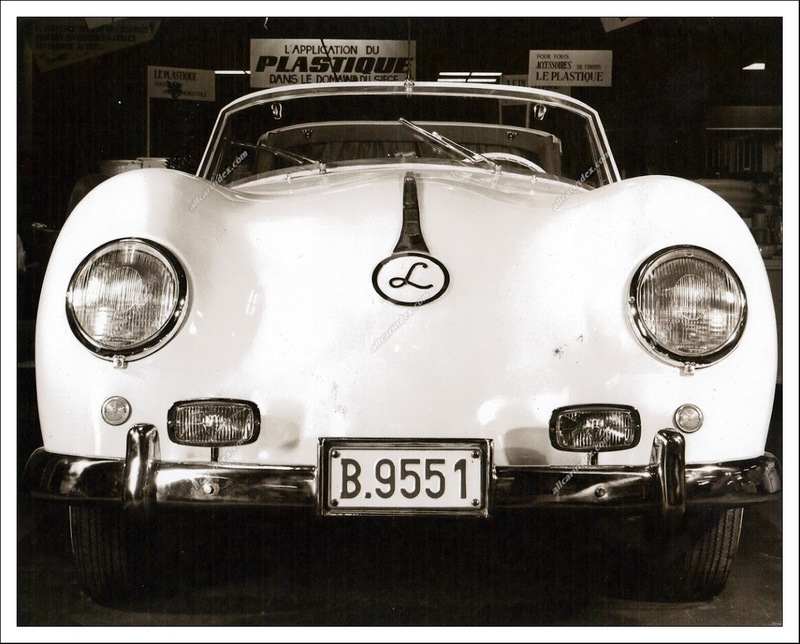 The only built prototype of the Ladyje- -nsky bodied car was driven 150.000 km until in 1962 its 200.000 km - used chassis was failed by the severe and yearly official Belgian technical inspection. The car was sent to a scrap yard. Photographs: kindly provided by Mr Jacques Ladyjensky.